The participants gathered in Circle St before the walk. Entertainment at Arthur Square after the walk. 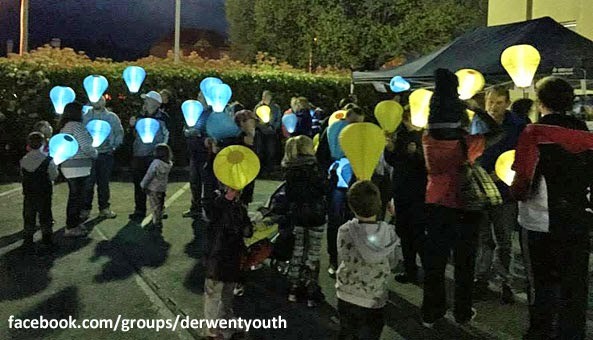 MORE than 100 people are reported to have taken part in the "Light the Night" fundraising event in New Norfolk on Friday evening. 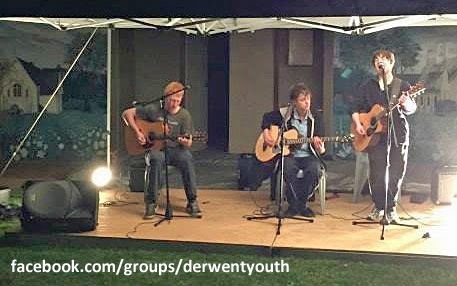 Organised by New Norfolk High School's student leadership group with assistance from the Derwent Valley Council, the event raised money for the Leukaemia Foundation. Participants assembled outside the council office in Circle St before walking down High St to Arthur Square, carrying lanterns to light the night. Funds were raised through lantern sales, sponsorship, a raffle and the sale of barbecue food. BBQ and raffle. Musical performances entertained the participants at Arthur Square.